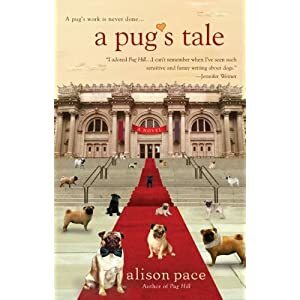 I loved Alison Pace's Pug Hill. I absolutely can't wait to read the sequel set to hit book stores on June 7th. 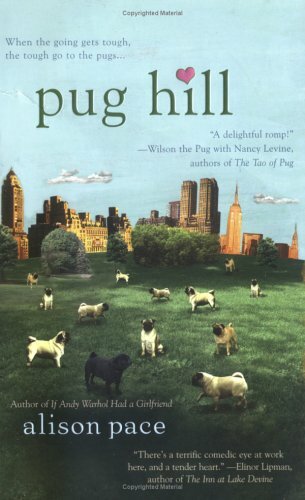 In the many years that Hope McNeill has worked at the museum, this is the first time she's been able to bring along her pug, Max. (Officially at least. Previously she's had to smuggle him in inside her tote bag.) The occasion: a special "Pug Night" party in honor of a deep-pocketed donor. Max and his friends are having a ball stalking the hors d'oeuvres and getting rambunctious, and making Hope wonder if this is also the last time she gets to bring Max to the museum.